ArcGIS maximizes the use of large data collections. GIS provides information to minimize the time customers are without energy. Large volumes of data from the SAP ERP and other systems are joined in the GIS. 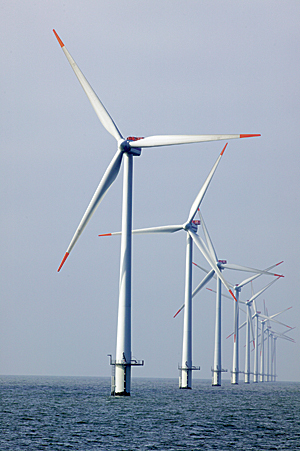 DONG Energy is among the world leaders when it comes to wind farms. It has more than 15 years of experience designing, building, and operating wind farms and has been involved in 5 of the world's 10 largest wind farms. 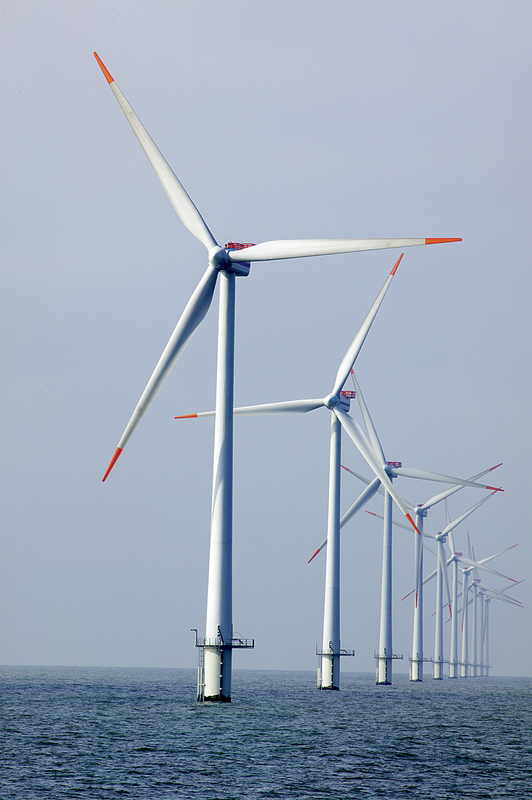 By 2020, it will triple its production of renewable energy, and offshore wind will play an important role. Energy is the lifeblood of modern society. As one of the leading energy groups in Northern Europe, DONG Energy—which is headquartered in Denmark—keeps that lifeblood flowing for more than one million customers. The energy company participates in energy procurement, production, trading, and distribution. The group also supplies energy to other utility companies. To make energy production cleaner, the company aims to reduce CO2 emissions significantly by increasing the use of wind power. The company is also testing and implementing various smart grid technologies as part of an international utility initiative to combine telecommunication capabilities with electric distribution for more reliable and precise energy service. All the while, DONG Energy continues to strive to meet the constantly increasing demands for more efficient workflows and better utilization of data. In line with its objectives, the company is working to make GIS functionality available to more departments and people in the organization. The company is also making GIS available externally through self-service solutions for customers. The staff has a vision to supply reliable energy without CO2 emissions. This vision reflects the fact that society wants both reliable supply and energy production that does not contribute to climate change. As a responsible energy company, DONG Energy focuses actively on helping balance these two objectives. This places increased demands on the network that distributes the energy from production to consumer. The challenge is that the current energy system is unable to deliver highly reliable supply without CO2 emissions. The majority of the energy used today primarily comes from power stations. Renewable energy sources are not fully reliable, as supply depends on the forces of nature. To make the vision come true, the company evaluated available geospatial technologies and decided to employ ArcGIS because of its comprehensive and flexible characteristics and its long-established interoperability with other systems and databases, ERP from Esri's Strategic Alliance Partner SAP being one example. The company first needed a complete overview of customers, the distribution network, and its component parts. Network awareness enables operators to view and analyze energy consumption at any given moment. It also allows the company to better regulate flow in the network and direct energy where it is needed. Awareness also makes it possible to decouple appliances that do not necessarily need power right at a given moment. By having an accurate and complete overview of the network, it is also possible to automate some of the working processes and make the supply to the customers as secure as possible. 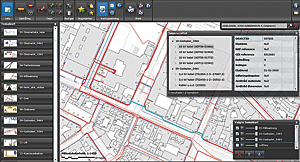 External contractors can use the web to order a map with information on lines and networks in the ground before they dig. The whole process runs automatically, and the PDF is generated and sent immediately. The solution handles approximately 30,000 orders a year. The first step for the company was to raise the quality of data and visualize the entire network. This involves localizing all electrical assets and determining asset condition, asset relationships to each other and to customers, and the expected annual consumption. 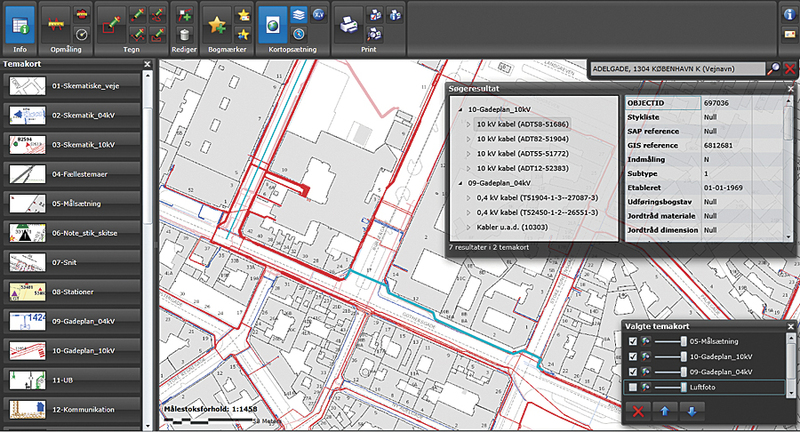 Data that previously had been available in the SAP system has been joined in ArcGIS to enhance the overview. "A lot of things only become really apparent to us when they are visualized with GIS," says Signe Andersen, DONG Energy IT manager. "Right now we spend resources joining large volumes of data from the ERP and other systems in the GIS." Andersen says the company used ArcGIS to create the best overview of customers and technical installations, provide the necessary analysis, and maximize the use of large data collections. "We have had much of this data in different systems since 2001," Andersen says. "Now we have recognized that it is difficult to use the data to the full extent when it is in many different IT systems, especially when the systems are not suitable to visualize and analyze the information as we can with GIS." In large utilities like DONG Energy, there is always maintenance work to be done somewhere in the extensive network. This affects customers who will need energy. That energy must come from somewhere else during the period of maintenance work in progress. Therefore, it is important that the workflow be as quick and precise as possible when switching in the network. 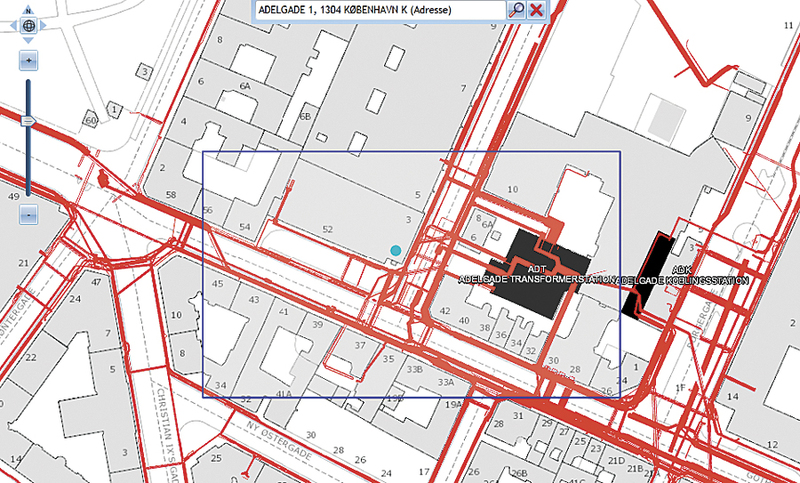 The company uses GIS to help make decisions that affect the fewest possible customers. 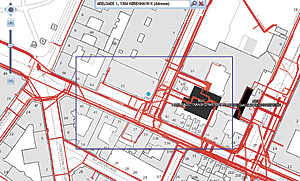 GIS provides proper information beforehand to minimize the time customers are without energy. Especially in the case of a sudden outage, it is of crucial importance to be able to respond very quickly and precisely. "It is important for our employees at all times to have an overview of the current state of the network," Andersen says. "In outage situations, we don't want the IT system to steal precious time. It is supposed to support you, give you the best overview, and be easy to operate." Using this GIS viewer, employees can perform geographic analysis. All the points of interest are visible in the viewer, and all network features are available. By using this kind of web solution, data and knowledge can be distributed throughout the organization. In Denmark, utilities are benchmarked on how many customers are experiencing an outage and how long they are out of electricity. For the individual customer, for the economy, and for the image of the utility, it is extremely important to minimize the outage time. A broad overview of the customers and the grid is essential. "Information must be available when it is needed, and it must always be in the right context," Andersen says. "We use IT and GIS as tools to improve work processes and customer information. They are tools like a hammer that must be good and easy to work with." "The business case is having multiple IT systems in combination with each other and having them integrated with the GIS," Andersen says. "In that sense, creating a smart grid has an almost unlimited potential." Electric cars—In DONG Energy's smart grid vision, electric vehicles are part of the problem and part of the solution. To charge the growing amount of electric vehicles will put extra pressure on the grid. At the same time, the use of electric vehicles pairs well with an increase in the amount of wind power in the grid, because drivers can charge the cars when there is enough wind power. To the company, the smart grid is about being able to, at a certain level, control the consumption at any given time to ensure a secure and reliable energy supply to all customers. Cable replacement—A large part of the company's underground cable network is about 30 to 40 years old, which is the life expectancy of copper cables. But whether the copper needs to be changed depends largely on how much power has been flowing through it. Without a good overview and high data quality, the company would have been forced to make a massive investment in new high-voltage cables, switches, and transformers everywhere the copper had reached an age of 40 years. That would have been very expensive—an estimated $100 million. But with an exact overview of the grid and the precise measure of how much power is flowing through it, the company can identify exactly where the copper needs to be replaced. Andersen says they have reached the point where it is a pleasure to walk around in the organization and identify new opportunities for GIS innovation and new uses of GIS technology. "Our staff understands that GIS helps them," she says. "As soon as they know that, they update the data every time, and the quality of data becomes 100 times better, which is vital." The company is working toward automated processes, where the grid can automatically turn on or off a number of electrical installations to keep the best flow through the grid without disrupting any customers. It has for many years been inspired by a service-oriented architecture. But with more than one million customers, an increasing amount of data, and a growing need to analyze that data, the organization needed to aggregate it. "We are now in place with the major standard systems, and there is tremendous value in analyzing data and finding new ways to use the knowledge we already have," Andersen says. "Data analysis will eventually take us from manual to automated decisions. We already have different transformers in the power grid that connect automatically, but it is still on a low level." Rune Homann has been with Informi GIS A/S since 2008. He is currently visiting an MBA program at the University of Southern Denmark. For more information, contact Signe Bramming Andersen, IT manager, DONG Energy (e-mail: sigba@dongenergy.dk).